(Sold) Getrag 4.30 Rear With New Upgraded Clutches.. 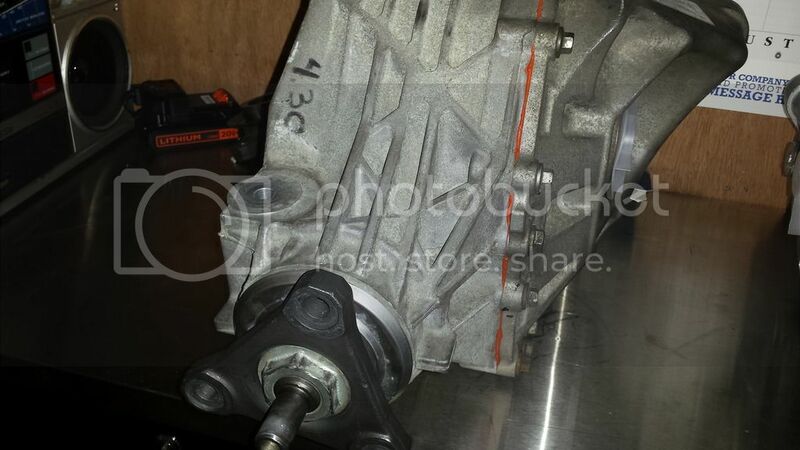 Description: Getrag 4.30 LSD rear Differential built by BFNY. Differential has approximately 5,000 miles on it since the 4.30 gears were installed. Upgraded clutches only have about 100 miles on them and no track miles. Please PM rather than post on this thread that you are interested. PayPal the preferred payment. Payment must be made within 24hrs of my acceptance or the next buyer in line will get the DS. Price (USD): $1300.00 shipped to the lower 48. Interesting custom Getrag there Larry, This would be killer on an 1/8th. mi. with a 29" slick for hook. I actually got my best quarter ET with the 4.30 compared to other gears I had tried (3.73, 3.23, 3.06). I found launching in 2nd gear gave the best times and less chance of wheel spin off the line producing 1.5x sixty foots....the 4.30 put me right at redline in 4th gear when I crossed the stripe....345/40/20 MTs.. I had to choose between trapping at the top of 3rd, or the top of 4th... 3.23 and 4.30 were the ratios to get me there. I ended up choosing the 3.23 for a little more comfort on the street, but I do wish I had gone for the 4.30 at times.